Rajasthan is situated on the north-western side of India and the largest state by area. 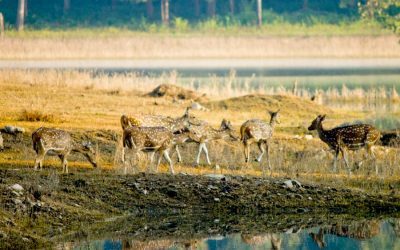 It is also one of the most explored states in India. 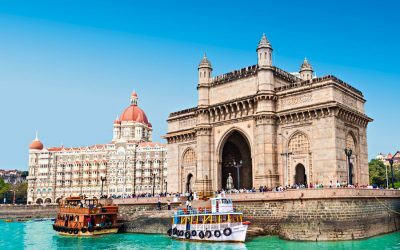 This is not surprising because it showcases India in the most exotic and colorful manner. You can easily find snake charmers, elephants, camels, desert, forts, palaces, sand dunes and much more during your visit to Rajasthan. This desert state of India witnesses a large number of foreign and domestic tourists from different parts of the world. 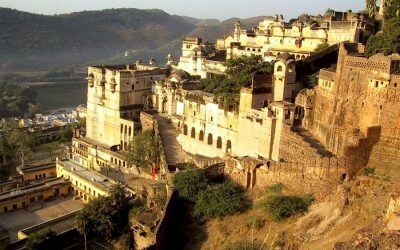 All in all, it can be said that Rajasthan is the "land of royals", "kingly state" and one of the most famous tourist destinations in India. If you are planning to see the royal culture of India, then visiting Rajasthan is a must. 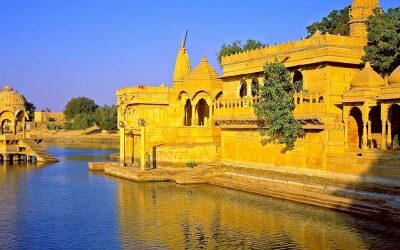 Due to this reason, Golden Triangle Holiday is offering this Rajasthan Travel guide to make your tour pleasant and hassle-free. 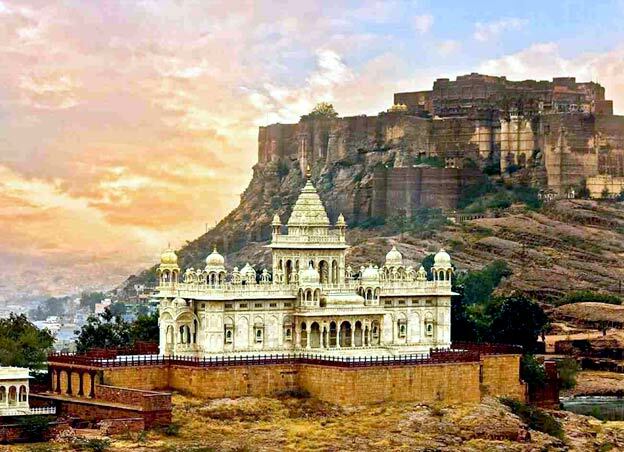 Rajasthan is known to have wonderful cities like Jaipur, Udaipur, Jaisalmer, Jodhpur, Bikaner and many others. Each and every city is known for its own architectural heritage, culture and royal past. 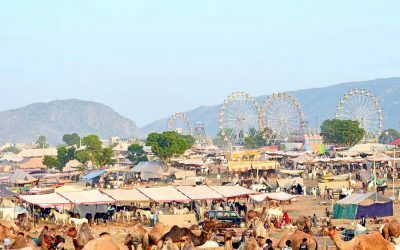 In Rajasthan, you can enjoy - the Pushkar cattle fair, the lip smacking delicacies of Bikaner, the elephant ride at Amber Fort in Jaipur, the amazing camel ride in Jaisalmer, the sunny weather of Jodhpur and much more. The beautiful smiles, sacred rituals, decorated animals, stunning saris, precious jewelry, long mustaches and colorful turbans will surely make you visit this mystical land of nomads and gypsies again. So, Rajasthan is an Indian state that will show you the real essence of India in different aspects. 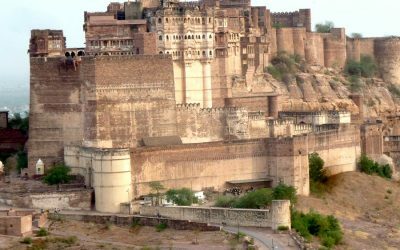 To know more about the various famous tourist attractions in Rajasthan, you can go through this travel guide from Golden Triangle Holiday. 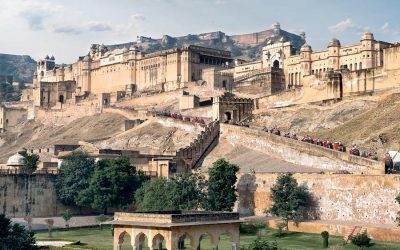 Jaipur is the largest city and capital of Rajasthan and forms an integral part of India's Golden Triangle tourist circuit along with Delhi & Agra. 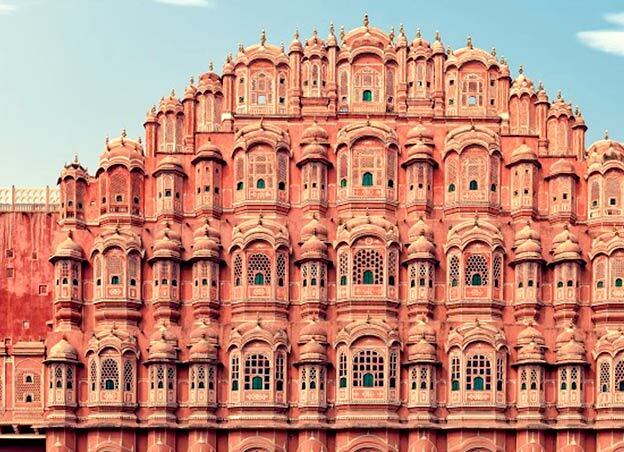 This "Pink City of India" was founded by Maharaja Jai Singh II in 1727 and has a perfect blend of rich culture & royalty. This city is famous its cuisine, art & craft, traditional shops, gardens, palaces and forts. 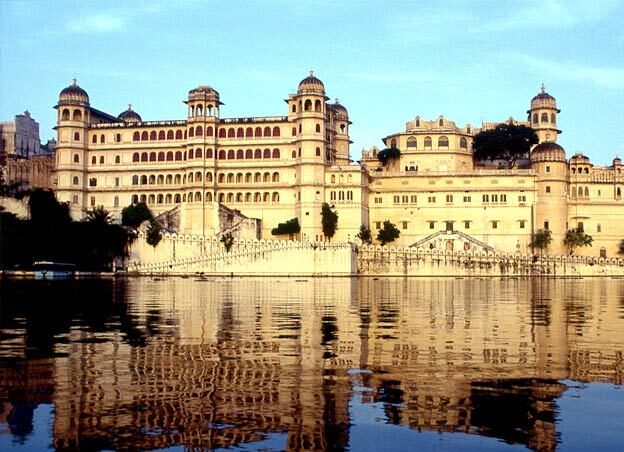 Udaipur was founded in 1559 by Maharana Udai Singh and known by many popular names like "Venice of the east" and "City of Lakes". 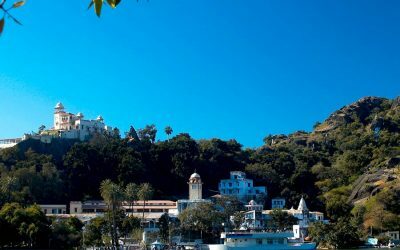 Tagged as "one of the most romantic cities in India" - Udaipur is nestled in the midst of Aravalli Hills & has beautiful havelis, temples and palaces. 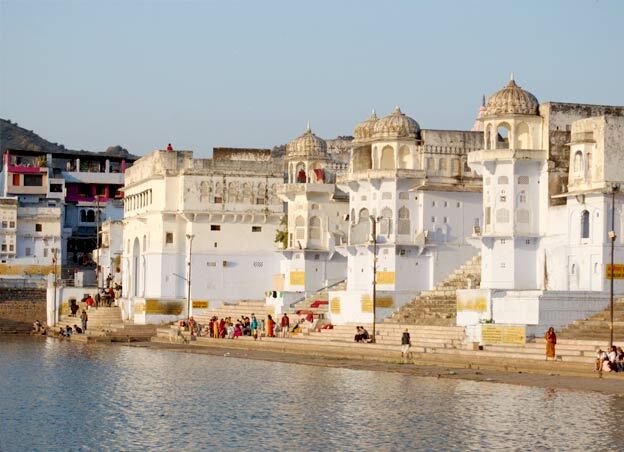 One of the religious places in India - Pushkar is located in Rajasthan and highly renowned for temples, Ghats and Pushkar Lake. The convergence of nature's diversity, spirituality and epitome of divinity can be readily seen in Pushkar. It is also among one of the most visited pilgrimage places in India and surrounded by hills on the three sides. 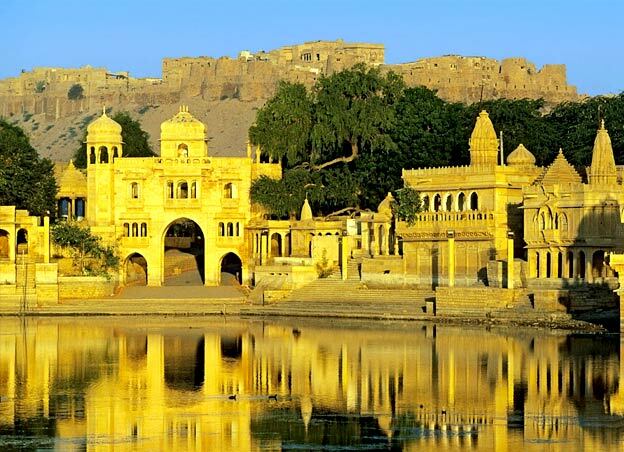 Jaisalmer was founded in 1156 by Rawal Jaisal Singh and prominently called as "The Golden City". It is located at the edge of Thar Desert & well-known all across the globe for its sand dunes, temples, palaces and forts. 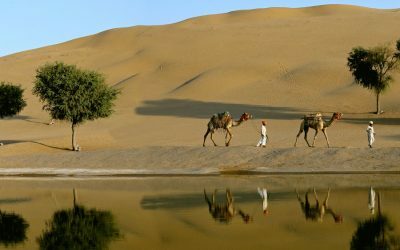 One of the must do activities in Jaisalmer is camel safari and enjoying bon-fire activities in the sand dunes. 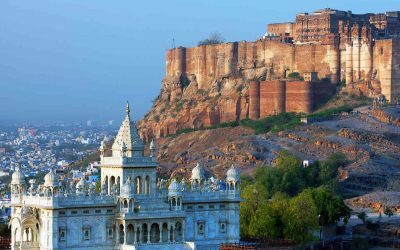 Also known as "Sun City" - Jodhpur was founded by Rao Jodha (the chief of the Rathore clan) in the year 1459. This city actually derived its name from the founder ruler itself. It served as capital for many places and later divided into the old city and the new city. 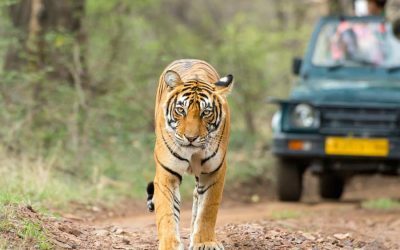 Ranthambore National Park is located in the district of Sawai Madhopur and regarded as one of the most famous national parks all across the globe. This national park has beautiful ravines, ponds, rocky smudges, lakes, and picturesque hills. 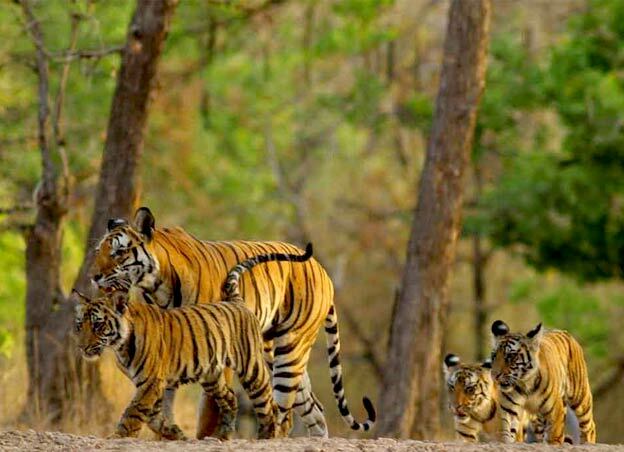 Most of the tourists visit this reserve to enjoy tiger sighting and lush green beauty of the nature. 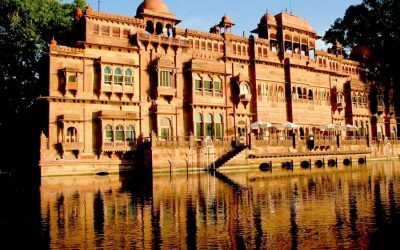 Bikaner is popularly known as "Camel country", as it is regarded as the best place to enjoy camel riding all across the globe. 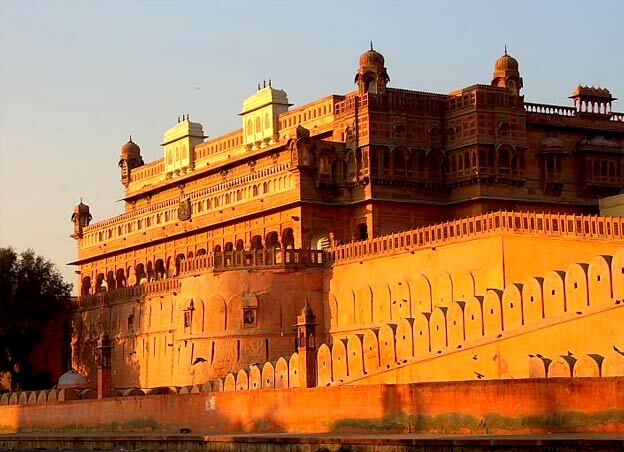 It was founded by Prince Rao Bikaji in the year 1465 and stands on a somewhat raised ground. It is encircled by a seven km long wall with 5 gates.